Need help with measuring? We’re here to help! Schedule a consultation today! Natural UV light is known to damage furniture, upholstery and wooden floors. When choosing new blinds or shades, it is important to understand the location of the room and the direction of the sun, and to identify your specific needs – are you looking for insulation, total privacy or ways to control the amount of sunlight penetrating the room? Maybe you want all three. That’s the conclusion many other Newport Beach home and business owners tend to arrive at. Well, that’s entirely possible. The only type of window covering that will provide total privacy is a shade or a drape that is made of blackout material. These coverings provide maximum light blockage and are perfect for bedrooms, nurseries and TV rooms. For total darkness, the fabric must block 100% of the visible light. 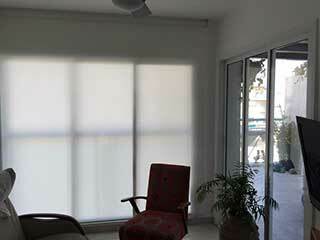 Blackout shades must be fitted perfectly onto the window without any gaps on the sides or on the top. Blackout curtains are made of thick fabric with similar qualities, while blackout drapes have an additional layer to the main fabric that has light blocking qualities. 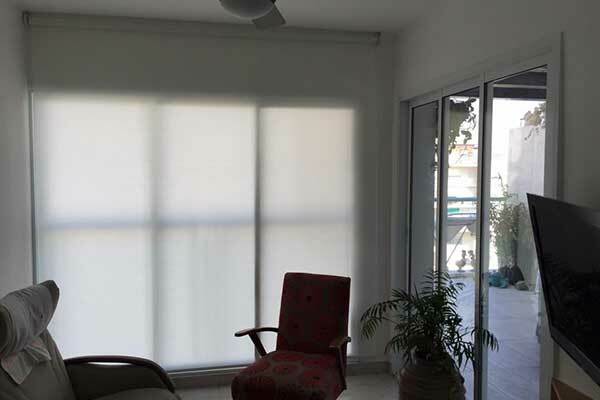 Sometimes side channels are added in order to block the side gaps and help achieve complete darkness if the shades cannot be fitted completely. Room darkening shades usually block a large amount of sunlight, between 75% to 99%, depending on the material, thus they provide near total darkness, but not total blackout. They still allow for some light penetration but render the room dark enough for privacy. Room darkening shades and some types of vertical blinds with adjustable louvers, can all be custom made with room darkening qualities. Any window treatment that allows for the light to penetrate but does not ensure total privacy can be defined as having light filtering qualities. They can provide privacy during daylight, but not at night when the room is illuminated. Then they tend to allow for those standing on the other side of the window to get a view into your property. The options of light filtering blinds, shades and drapery are as wide as your imagination permits, so if you are looking to protect your furniture from the sunlight and add some thermal insulation to your windows, get in touch with us an let us help you find the right blinds and shades for your needs with a free in-home consultation.